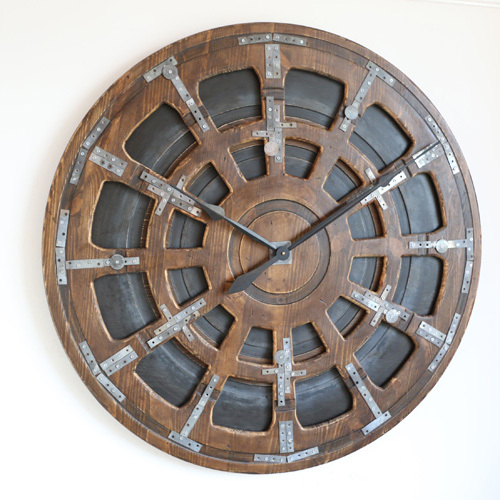 The “Heavy Industrial” is a member of the new range of artistic industrial clocks. It is handmade from two panels of sustainably sourced pine wood. 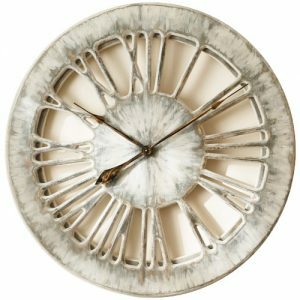 The clock face with its custom design and metallic features looks intriguing and draws attention of anyone coming across it. With a total diameter of 75-120 cm it will make a powerful statement in your home environment. 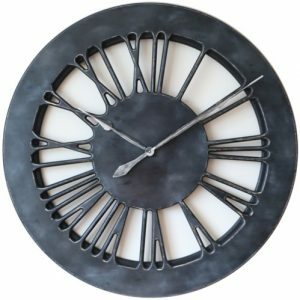 The “Heavy Metal” is a unique industrial timepiece that we designed to be a centrepiece in your living room. It displays some metal features on the hand painted graphite background. Are you looking for something different then anyone else may have on their wall? Perhaps you would like to replace the mirror or large painting with something very eccentric? If you want a statement piece that will differentiate your place from the rest of the world look no further. The “Heavy Metal” will impress everyone coming across it and you will get a lot of questions about it. 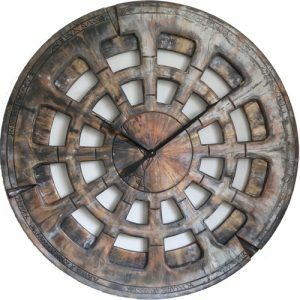 This stunning industrial wall clock is cut from two large panels of pine wood that gives it its unique beauty and adds character. It has very unique design with some metal features and irregular face. The clock mechanism is the most powerful Quartz sweep movement that requires a single C Cell battery (2 batteries included). We deliver it with hands detached to prevent any transport damage. Full instructions to securely attach the clock hands are provided. You can also watch the short video here where I demonstrate attaching the clock hands. 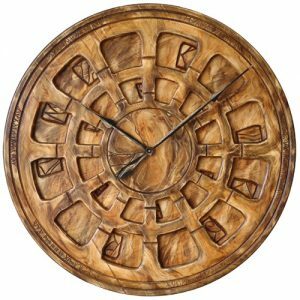 The Peak Art clocks are unique and expensive pieces of art. They will come to your mind when you start redecorating your house. 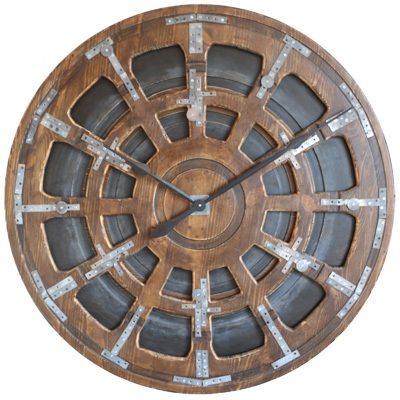 All Peak Art clocks are stunning with the traditional accents. They have distinct, hand painted finish and traditional round shape. You can mount them in any room at your home. 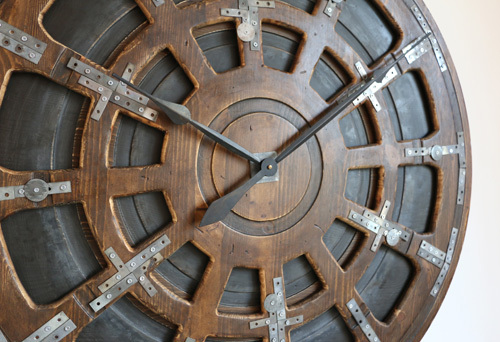 Any industrial timepiece from Peak Art can also be placed in big halls or entryways because of their size and functionality. Another perfect place for our clocks is your office or hotel reception. 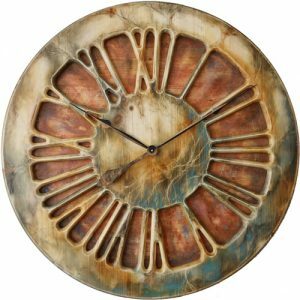 These wonderful artistic and most charismatic handmade products will never fail to impress anyone coming across them.